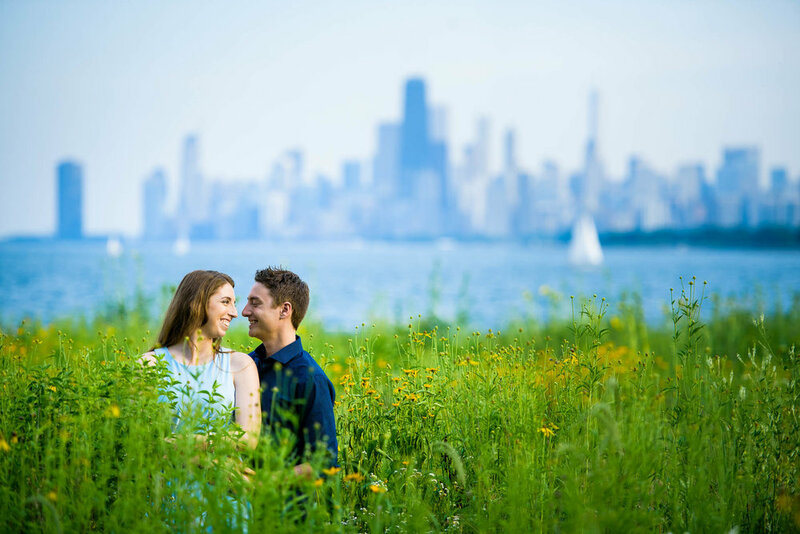 I'm always here to help my couples with deciding where to photograph their engagement sessions. I have plenty of advice and insight about where to go in our beautiful city. That said, I'm always interested to hear their ideas and see what they bring to the table. Generally it's a place or activity that has meaning for them and their relationship. 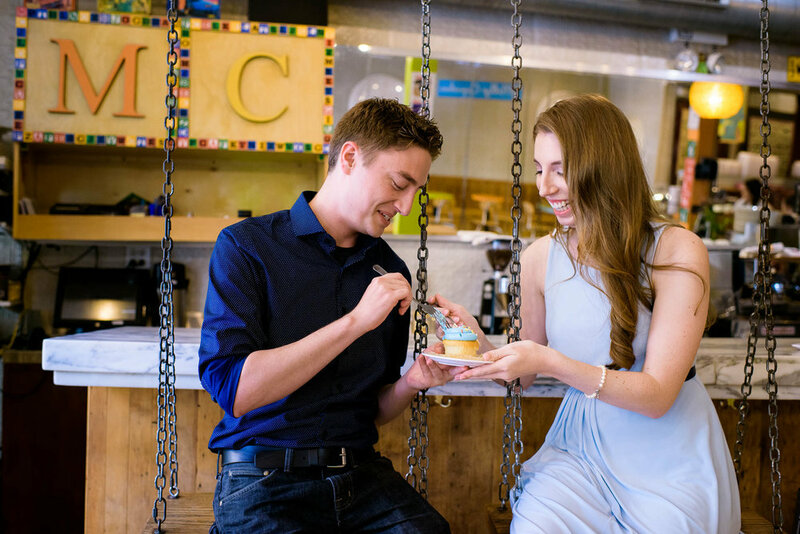 For Meagan & Nick, it was Molly's Cupcakes in Lincoln Park. Such a great idea! Afterwards we headed north to Montrose Harbor on what was one of the nicest days of the year. In addition to photos of the lake and skyline, they brought their favorites books as props, since reading is a big part of their lives. 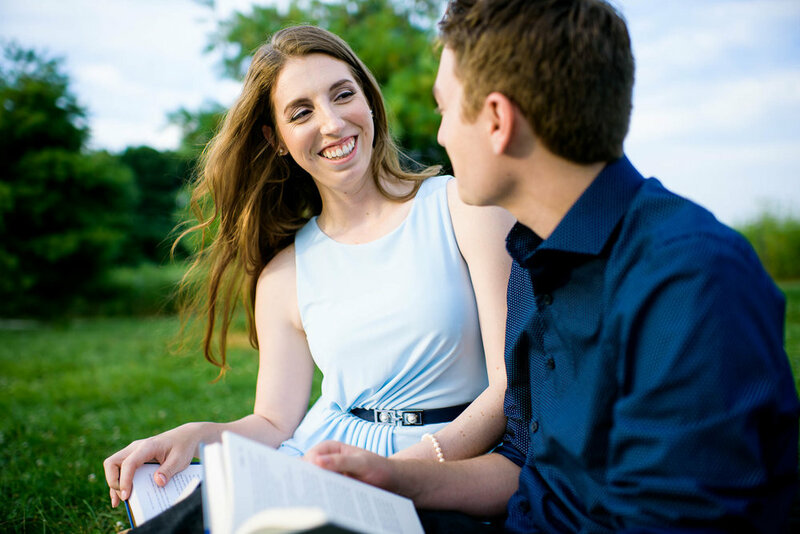 This example is one of the reasons I love photographing engagement sessions for my clients. It's truly nice to understand the couple a little more before the wedding day. 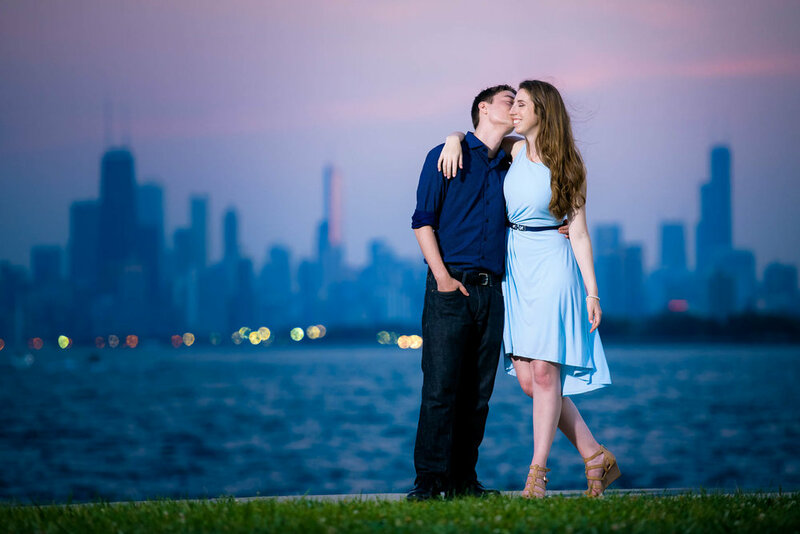 I'm excited for Meagan & Nick's big day at the Newberry Library!